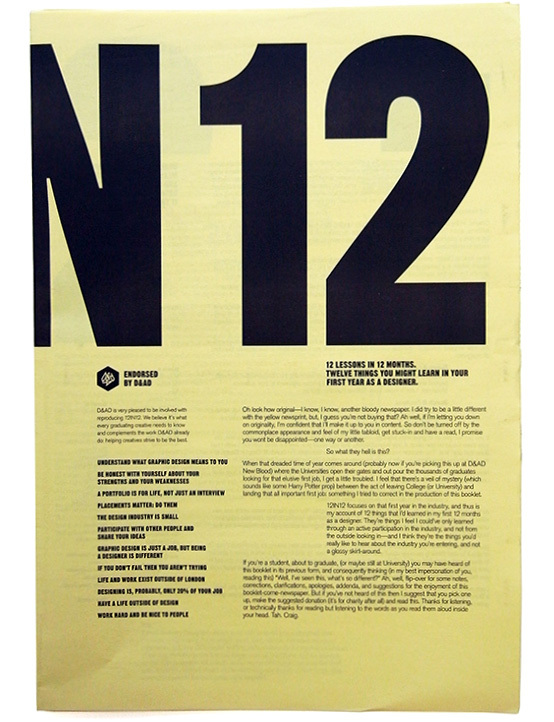 This limited edition version of 12IN12 by Craig Oldham is printed on yellow newsprint, and will be available exclusively for £1 at D&AD New Blood from June 24 – July 02. All proceeds will go to the D&AD Education charity. A great booklet for a great cause. 2 Comments on "12IN12 x D&AD Limited Edition"
nice use of grid systems. Got a copy of this and it’s brilliant, well designed and really well written.